Looking for a property in Alanya with reduced running costs and increased comfort? Check out the list of the features of this great property in Avsallar. The project consists of 10 blocks of 10 floor apartments. Total land size is 25756 m2. Stuidos, 1+1, small and large 2+1, 3+1 Duplex apartments. the property has to offer and maybe to become its part. Avsallar is a cosy holiday resort which is situated at the south cost of Turkey, nearly 20 km to Alanya city center and 100 km to Antalya city center. Avsallar is very popular tourist destination in Alanya at south cost of Turkey. There are several 5 star and 4 star hotels along the mediterranean. Therefore tourism is taking the number one degree importance at towns income. Avsallar is famous It’s beaches. Fugla beach and world famous Incekum has been situated in Avsallar. Both beaches have thin sands and Beaches are children friendly. Absolutly there is no single rock and not very deep in to the water. Avsallar is a small town which is belong to Alanya. Approximately 10.000 local inhabitants live in Avsallar. Besides this Avsallar has 3 times bigger summer population than local population. The townn became so popular amongs the foreing homer buyers. Beacuse the size of town is fitting to a exactly a cosy holiday town. Avsallar has modern and clean city center which you can make all necessary facilities. There are several shops and restaurant in the walking street. Every wednesday you may taste the local furits and vegetables at the market area. Avsallar is located exactly in between the 2 airports. Antalya airport is nearly 100 km and Alanya airport is 60 km. Therefore you find flight ticket for both airports. Avsallar properties are just newly built. Almost all the properties in Avsallar are well designed and enrichmented with facilities. You can find better quality with better prices in Avsallar. 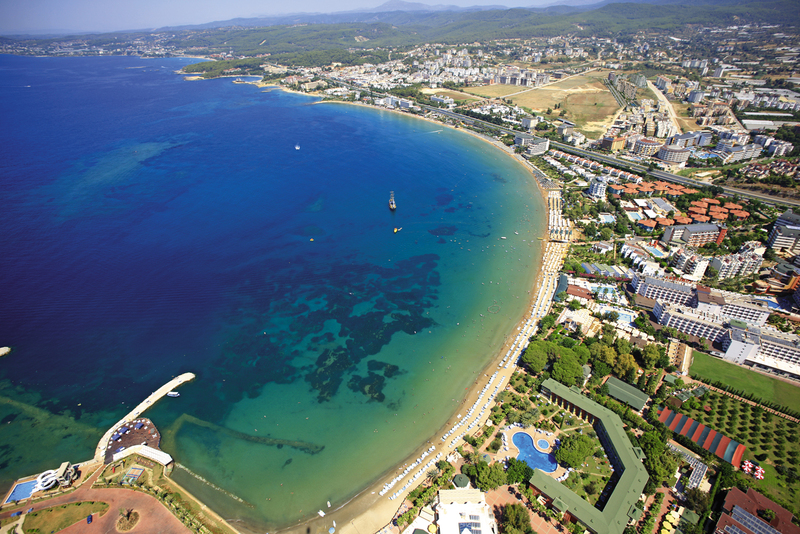 All the properties in Avsallar maximun 1000 meters away from the beach. Besides somehow you have blue mediterranean view. Our professional real estate team made sure you get the highest level of help with your property requests. The project consists of 10 blocks of 10 floors apartment Composed of 2 stages. It is in the City Center of Avsallar and 800 meters away from the Sea. Popular tourist destination Avsallar will have one of the largest apartments complex within 522 apartments in Avsallar in Alanya. Ten blocks of aparments are ten floored on totally 25756 m2 land. Studio, 1+1, 2+1, 3+1, 4+1 apartments are available in Siberland- Olive Garden in Avsallar. Rich facilities such as spa, hamam, restaurant, private beach club. Close to all amenities in Avsallar. Siberland-Olive Garden is suitable for a nice rental apartment system so that the project has investment value. Why we are the logical choice ? Properties in Turkey for sale with a trustable and experienced partner, IDEAL Real Estate. Search our wide portfolio of Turkish apartments and villas for sale in Alanya, Side, Belek, Antalya, Kemer, Bodrum, Yalova, Izmir, İstanbul. Full legal services and guidance from your first step on the way of buying a property in Turkey. It has never been easier to own a private apartment in Alanya, luxurious villa in Side or a golf property in Belek. Search our offer of properties, take your time, consult our representative and enjoy your holiday home in Turkey. Buying a property in Turkey is a matter of trust and experience in the Turkish property market. Welcome to IDEAL Real Estate & Construction.